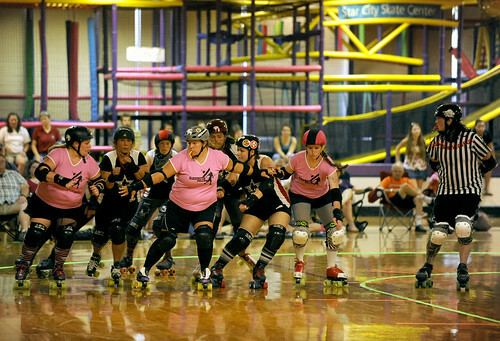 It was an intense bout last weekend against the Star City Roller Girls. Both teams had their game faces on and fought a good fight out there on the rink. 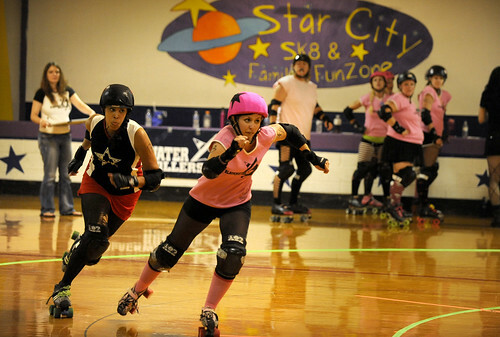 After a close match, Star City took the lead in the end. Congrats to them! We loved every second of play and are already looking forward to rematching in October on our home rink. Thanks for Terminal Velocity from East Coast Devastation for once again managing our bench and all of the fans that traveled to the noke decked out in their BWR gear. We go crazy for your support! 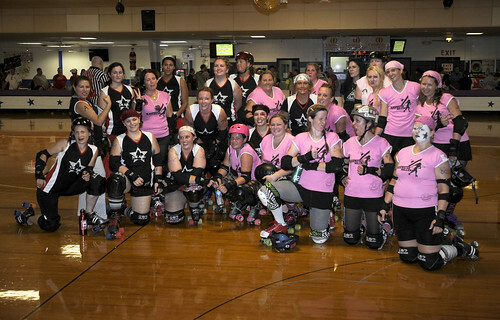 The next time we see you, it will be back in Appomattox against the co-ed East Coast Devastation. This team is made up of some incredible skaters. Trust us, you will not want to miss this epic bout! 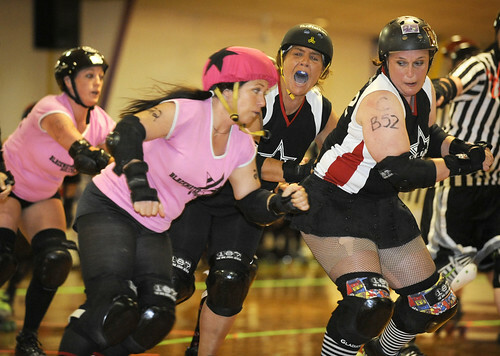 And for those of you those of you who missed it, WDBJ 7 was at the bout covering all the action. Thanks to them for a great piece! Check it out here!